Tate was released by the Saints on Tuesday, Field Yates of ESPN reports. Analysis: Tate re-signed with the Saints last week and played four special teams snaps Sunday, but did not see the field on offense. 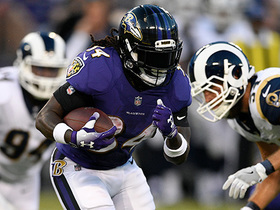 The veteran receiver will hope to latch on elsewhere and has 71 receptions for 1,099 yards over his 10-year career. Tate agreed to re-sign with the Saints on Tuesday, Josh Katzenstein of The New Orleans Times-Picayune reports. Analysis: Tate re-joins New Orleans about a month after being waived by the Saints. He'll likely be used on special teams but could also provide depth at the receiver position. The 10-year veteran has 71 receptions in his career. Tate was waived by the Saints on Friday, Josh Katzenstein of The New Orleans Times-Picayune reports. Analysis: Tate was competing for a depth receiver role with the Saints, but his best chance to make the roster was as a kick and punt returner. He ended up losing out in his bid for a roster spot, and he'll now become a free agent if he clears waivers. Tate finished the 2017 campaign with a 19.6-yard average on 28 kickoff returns and a 9.7-yard average on 20 punt returns. He also caught six passes for 81 yards and a touchdown while occasionally chipping in on offense. 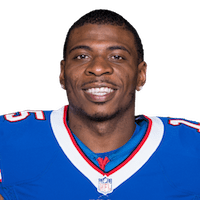 Tate is inactive for Thursday's game against the Jets. 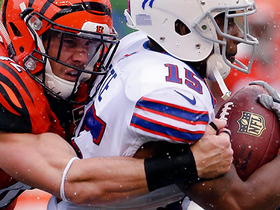 The "NFL Fantasy Live" crew discusses players that should automatically be started on your fantasy teams. Buffalo Bills quarterback Tyrod Taylor throws a short pass to wide receiver Brandon Tate who runs for 21 yards. 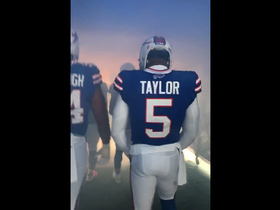 Buffalo Bills quarterback Tyrod Taylor leads his team out of the tunnel before their Week 15 game. 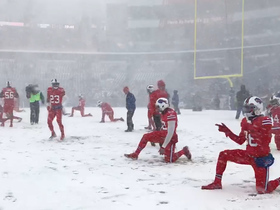 The Buffalo Bills get hyped up and start a dance party while warming up in the snow. 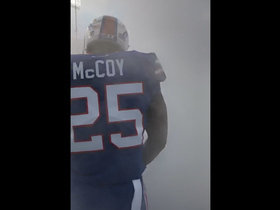 Running back LeSean McCoy and the Buffalo Bills run out of the tunnel before their Week 13 game. 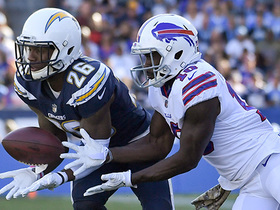 Los Angeles Chargers cornerback Casey Hayward picks off Buffalo Bills rookie QB Nate Peterman. 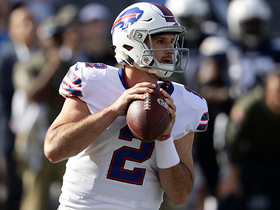 Buffalo Bills quarterback Nathan Peterman throws his third interception of the first half. 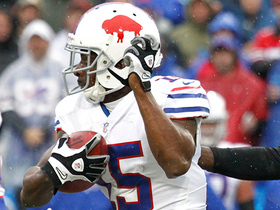 Buffalo Bills wide receiver Brandon Tate makes everybody miss as he spins, jukes, and cuts upfield for a 24-yard gain. 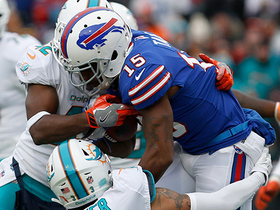 Buffalo Bills wide receiver Brandon Tate runs 40 yards on a punt return. 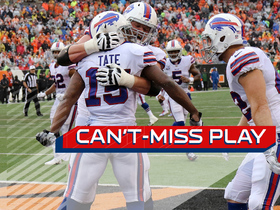 Tyrod Taylor finds Brandon Tate in the back of the end zone for a 12-yard touchdown.